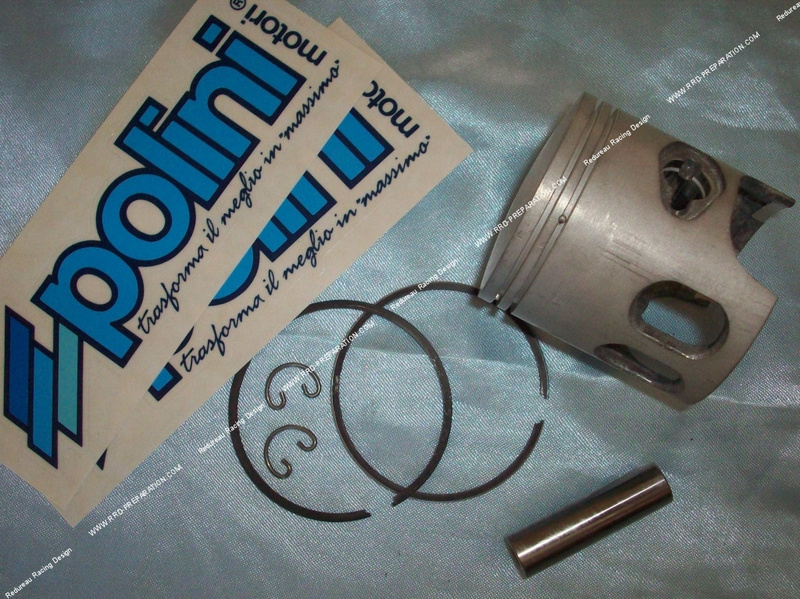 Replacement POLINI piston for kit POLINI Racing and Corsa 70cc on Minarelli Vertical and Horizontal! 53,59 € 53.59 tax incl. Piston treated with diameter 47mm or 47,4mm of choice for the bored kits, of very high quality it is delivered with a piston pin of 10mm , 2 segments chrome hard curved and 2 piston clips reinforced crab type. For kits polini cast iron 70cc corsa minarelli scooter (vertical or horizontal) only.